Yahoo! reported on the 24th that Sony has another recall -- this time it is their Cyber-shot camera. "The liquid crystal display screens of eight camera models might not display images correctly, images could be distorted or cameras might not take photos at all." This affects cameras sold over 16 months from September 2003 to January 2005. Apparently this is not the first camera recall for Sony. Compared to the S&P 500 and Nasdaq over the last three months, things do not look good for Sony. I do not expect the PS3 to help them much either. I found two sites that look at the inside of a Wii game machine from Nintendo. Popular Science has 16 photos while informit.com has a complete tear down with instructions. Both are very good, but informit.com gives you much more information including a nine minute video. In addition, CNN posted an AP article on how the motion controls for the Wii and PS3 work. I also found a link to some handiwork where someone figured out how to get to the Wii Shop store. I had tried the free Google Desktop at work, twice, and each time uninstalled it. First because I could not search my network drives. (I like to use network drives to share files with my colleagues, and to make sure they are backed up.) Later I had decided to try again, and then discovered the possible security issues. I was pleasantly surprised to learn that Google now has addressed the security concerns and they have released an update that will index networked drives. I have been running this now for about two weeks, and it generally has performed well. The Google Desktop Search is based on keywords, so it does not always give you the most relevant results. I also had some troubles with PowerPoint running very slow while editing. (I turn the search off when I am working in PowerPoint.) With those caveats, it seems to be a good solution. Barracuda Networks reported November 15th that they have seen an increase in spam of 67% since August of this year. I learned this fact while reading about spam linked to Russian gang from eWeek, "...authorities have traced the operation to a well-organized hacking gang controlling a 70,000-strong peer-to-peer botnet..."
This hacking gang is using the trojan tool that removes other viruses before setting-up shop on breached computers, which I reported in October. The most common compromised machine is XP with service pack 2 at 47%. Another 37% is XP with no service pack or service pack 1. This I do not understand at all -- if you are going to use your computer on the Internet, you absolutely must keep it up-to-date with patches and fixes. Over 12,500 of the compromised machines are in the US. Microsoft just released their new Zune player -- will it be a hit? My bet is no, and here is why. The software is difficult to install; it has crashed for many people.Does not support Microsoft's PlaysForSure music platform, including Windows Media Player.Therefore, you cannot play music you bought from other stores that used the PlaysForSure music platform.Microsoft closed their music store and opened a new one specific to Zune (Zune Marketplace).To buy music, you need to buy points from Microsoft in $5.00 increments. Each song is 79 points, which is about $0.99. So you will loan Microsoft $4.00 (or more), each time you buy more points. I have put together another keyboard shortcuts tri-fold, this time for PowerPoint. Whether you use PowerPoint a lot or just occasionally, I think you will find this to be a valuable tool. I have some really good shortcuts in here. For example, did you know that if you enter Ctrl + Shift + [plus sign] with text selected, that it will change it to superscript? Or that Ctrl + D will duplicate a selected object? That is just two of over 100 keyboard shortcut combinations. Still Confused About Net Neutrality? Bill Moyers, Moyers on America, has developed an extremely informative piece on the current risk to open access on the Internet call The Net @ Risk. Moyers and his team dig into big media, telco, cable, and government, and shine a spotlight on how we risk losing open Internet access for everyone. Let us not forget how in as little as two years from rule changes by the FCC, big media bought all the little radio stations, and now we have little to no local programming. That could just as easily happen to the Internet. Take a company like Google. Eight years ago, Google was two guys in graduate school -- the Internet has allowed founders Larry Page and Sergey Brin start their own company and compete against incumbents Alta Vista, Yahoo! and Microsoft. Michael J. Copps wrote a great article yesterday, America's Internet Disconnect, on the impact of not having broadband Internet access. Mr. Copps claims that some experts believe we could ..."add $500 billion to the U.S. economy and create 1.2 million jobs" with universal broadband adoption. In addition, we are being over charged by $8 billion. Here is a few more facts... the government is supposed to have universal broadband in the U.S. by 2007, yet we are not even close. The U.S. ranks 15th in the world in broadband penetration, while Europeans and Asians are getting 25 to 100 megabits to their homes. Oh, but "the FCC still defines broadband as 200 kilobits per second." 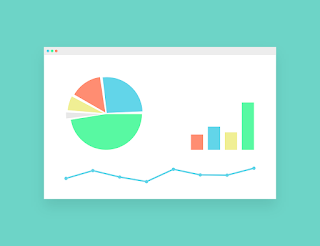 If you are new to web analytics or need to brush up your skills, I recently read Web Analytics Demystified: A Marketer's Guide to Understanding How Your Web Site Affects Your Businessand found it very helpful for this category. If you are a little more advanced, you might try another book from the same author, Eric T. Peterson, Web Site Measurement Hacks.Perhaps what I like most about both of these books, is that Eric makes it simple. In addition, Eric has experience with web tags, which is particularly beneficial when your site is distributed across multiple systems. 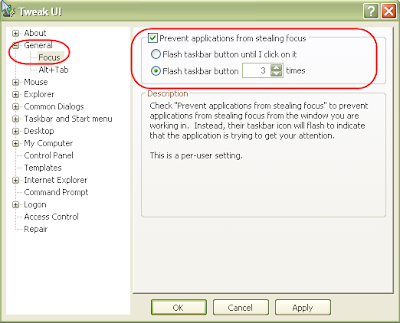 Have you wondered how you might change settings in Firefox, yet not found any options in the Tools | Options... section? Firefox uses a file called About:Config to manage options that are not configurable through the Tools | Options... menu. Just type About:Config in the Address Bar to access these additional options. The Mozilla knowledge base has a list of options to set. Here are just a few that may be of interest to you. Set the check document frequency (browser.cache.check_doc_frequency): This is the option as to how frequently the browser check to see if the page has been update. Sitting there in the N.O.C. That Netcat in the Hat he'd showed us his tricks, he'd showed us the what and the what makes it ticks. He'd given us knowledge, he'd given us plans, but he'd left us the work, that tall feline man. Microsoft and Secunia reported another ActiveX bug yesterday. Just by visiting a website or viewing email in html mode can provide the means for malicious code to be executed on your computer. Microsoft recommends keeping your virus scanner up-to-date [of course you should] and to use safe browsing habits.